Suite Paws is a Cincinnati/Milford pet resort that offers the best pet boarding, dog daycare, grooming and other pet services. We have created a pet boarding facility that truly takes their every need into account when caring for them. Laura has been an animal lover for as long as she can remember. After working as a sound engineer in Los Angeles, along with volunteering to rescue dogs in high-kill shelters, she realized that her real passion was working with and helping animals. She decided to change her path and open Suite Paws -Raleigh in the Fall of 2008 and Suite Paws- Durham in Winter of 2014. She is so excited and proud to be partnering with her Ohio family members to open Suite Paws- Milford. It’s all a dream come true! She currently lives in Raleigh, NC with her husband, 3 kids and 3 dogs. Mark has been a resident of Ohio his whole life. He attended University of Cincinnati with a degree in Criminal justice, and has been a police officer since 2000. 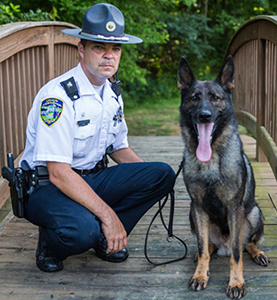 In 2008, he started working in a K-9 Unit with his police dog, Daron, who recently retired. He decided to hang up his badge as well and start a new career caring for animals, which has always been 2nd nature to him. He lives in Williamsburg, OH with his wife, 2 children, 2 dogs, cats, horse and goats. Mary Lou is truly passionate about animals. She has cared for dogs, cat, horses and farm animals her entire life. So much so that her and her husband started “Stephens Farm” in 1997. 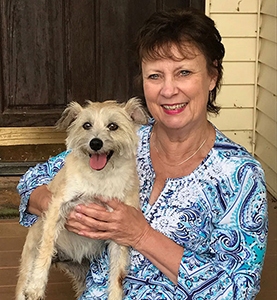 Mary Lou and her son, Mark, decided they both wanted to move on to the next chapter in life and open a Suite Paws with Laura and care for our furry family members full time. She couldn’t be more excited about this next adventure! She lives in Williamsburg, OH with her cowboy (aka husband), dog “Susie Q”, cat and 3 horses. 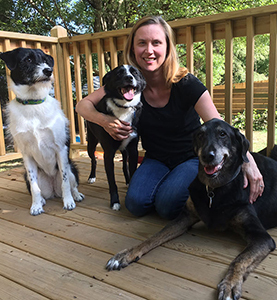 As she lives that dream, Laura never loses sight of those less-fortunate animals in search of loving homes. That is why Suite Paws has special offers and rates for non-profit rescues. We make sure these animals are loved, cared for and happy, because that’s what every dog or cat deserves.